EMTA provides a range of emergency care courses to doctors, nurses, paramedics and first responders. Our courses are provided across Australasia in premium locations, supported by experienced clinicians and educators. Our courses are limited to small participant numbers to allow for maximum support to achieve our educational outcomes. 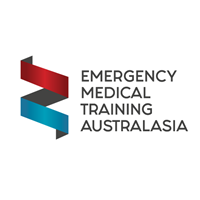 EMTA is an approved ALS 1 and ALS 2 course center with the Australian Resuscitation Council. All our educators are approved ALS instructors with the Australian Resuscitation Council.